The recent consultation by DECC to the proposed 87% reduction in the Feed in Tariff resulted in over 55,000 representations from the public and solar industry. These are being processed and DECC are looking to publish their response before the end of the year. Until this happens there can be little clarity as to the extent of a Feed in Tariff reduction or when it will be implemented. Any major overhaul of the Feed in Tariff scheme requires a statutory instrument to amend it. If the proposal is of a negative nature according to a DECC spokesman speaking to Solar Power Portal, 40 “parliamentary” days grace is required before the proposals come into force. With Parliament adjournments due over Christmas and in mid-February the earliest date at which the Feed in Tariff could be reduced now appears to be towards the end of February 2016. Until any formal announcement by DECC confusion reigns as to how long there is to install solar PV before any Tariff drop is implemented. This uncertainty is leading to high levels of activity across the solar industry and if you are considering installing solar PV it makes sense to do so sooner rather than later. Separate to the drastic proposals under consideration by DECC, the Feed in Tariff rate is subject to the normal quarterly review. 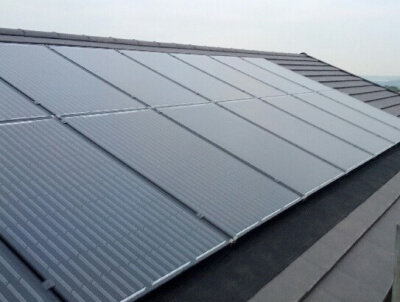 This will see the tariff on 1January 2016 for a 4.0kW array reduce from 12.47p/kWh to 12.03p/kWh with similar reductions for larger installations..
To have Solar PV installed to your property before the Feed in Tariff reduction please contact Fervo who will be pleased to undertake a free survey and quotation.